Attic and crawl spaces don’t register as top-of-mind areas of the property, like the kitchen of living room for example. They are invariably neglected and ignored, which makes them a safe haven for a spectrum of infestations. By not taking timely action, you could end up with big troubles on your hands. Periodic inspection of the attic and crawl space, not only helps unfold the problems that are kept silent in these dark and dreary regions, but also help safeguard the health of your property and loved ones (it can also save you a lot of money). We, at Quartz Solutions, specialize in attic and crwal space services. Our skilled workforce is well versed with the latest technologies in the business, and we put customer service first, so you’ll always have someone to guide you through the process. Mold, mildew and fungus thrive in moist and humid conditions. They contaminate the area, and contribute to wood decay and other health related issues. Animals like bats, mice and rodents nibble away the furnishings and wire cables. Their droppings and urine make the area smelly and contaminated. Leaking and cracked ducts let way for harmful gases to flow into the living area. Chronic inhalation of these gases fuels serious breathing troubles. Dripping ducts make the area extremely moist and damp. Defunct insulation system impairs the heating and cooling capacity of the home and inflates utility bills. Pests and termites eat into the basic foundations of the building. 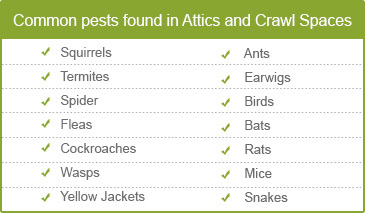 Regular inspection of the attic and crawl spaces can help reduce problems to a great extent. Undoubtedly, experts in the field should perform this sort of a job. 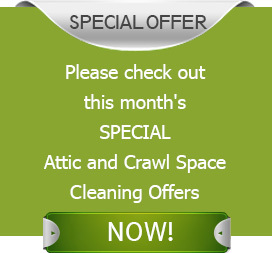 Attic and crawl space services is our forte! During our free inspection tour, Quartz Solutions will explore each nook and corner of the area. We will take note of the presence of pests in the area, test the area for dangerous gases, and evaluate the condition of insulation ducts, pipes and cables. Based on the situation, a tailor made plan to deal with the attic and crawl space woes will be put forward by our engineers. Our dependable, high quality services do not come as premium. We believe that these services should be standard with no hidden charges. Tenafly is a small borough in Bergen County, NJ. Home to nearly 14,000 people, the borough is amongst the best places to live in New Jersey. Beautiful gardens, great restaurants, splendid market places, eye-catching buildings and comfortable homes and offices; Tenafly has much to boast about. Quartz Solutions would love to make a small contribution to this wonderful community. Hire us and let us help you keep your attics and crawl spaces in perfect condition for the long run. Call Quartz Solutions 201-205-2042 and book your complimentary inspection and consultation.